Pandora has been streaming music for longer than many of the top streaming services, but it's always gone about things differently. Pandora is based on radio stations rather than specific tracks. Today, Pandora is deploying a new version of its service that's more in-line with competing options. For $10 per month, you can pick songs instead of trusting that the radio station won't stink. The $10 monthly price for Pandora Premium is the same as most other streaming services, and the features seem largely the same. You can create your own playlists of specific tracks to play on-demand. Songs that you thumbs-up will be collected in a special playlist for easy access too. There's offline caching as well. Of course, Pandora is hoping to leverage its radio and personalization features to set it apart from the other music streamers. You'll still get track suggestions, smart search, and more. Anyone with a current subscription to the ad-free Pandora Plus service will get six months of Pandora Premium for free. Access to the new service is rolling out slowly, so you need to sign up for an invite. The first round will go out on March 15th. 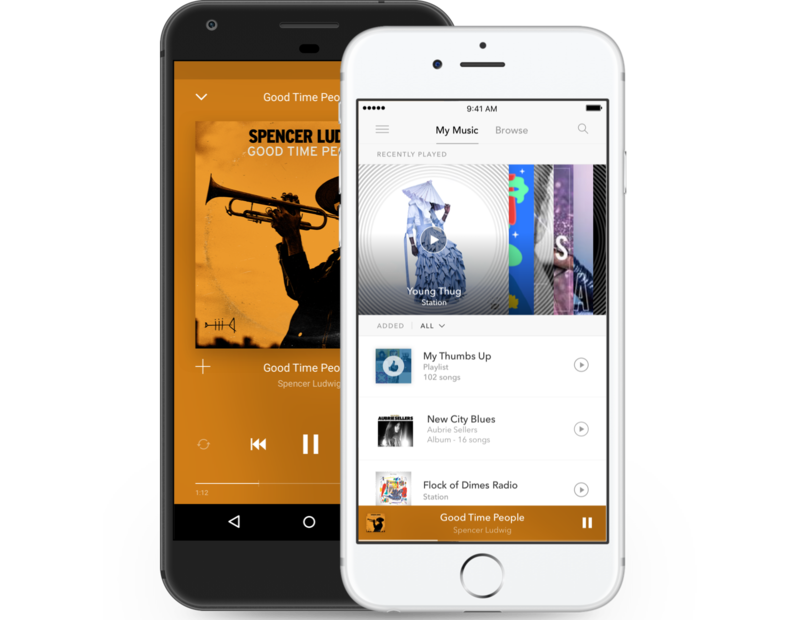 Pandora Premium will work on Android and iOS first, with desktop support coming in a few months. OAKLAND, Calif.--(BUSINESS WIRE)--Pandora (NYSE:P) announced today that Pandora Premium, its first ever on-demand streaming tier, launches this week. Invites for a free trial of Pandora Premium roll out to select listeners on March 15 and an option to upgrade will be available to all listeners over the coming weeks. For $9.99 a month, Pandora Premium combines the best of Pandora’s beloved personalized radio with the ability to search and play any track or album as well as a unique set of playlist features tailored to each person’s distinct preferences. Listeners can now curate their music experience with an ease of use unmatched by any other service. Playlists, not worklists: Start a playlist with one or two songs of your choice, tap “Add Similar Songs” and put the power of Pandora’s Music Genome Project to work to create the perfect playlist for any activity, mood or party. All your thumbs up: Every song you’ve thumbed up on Pandora is immediately available in your “My Thumbs Up” playlist. Thumb up a few tracks on any Pandora radio station and Premium will automatically create a new playlist of these songs too. New music for you… and only you: Browse is stocked with personalized suggestions for the latest releases from current and soon-to-be favorites whether you listen to classical, metal, jazz, hip hop, country, and everything in between. Offline mode: Download albums, songs stations or playlists you want and bring an end to those moments of deafening silence when you lose a signal. Search that knows you: Pandora’s team of curators, music analysts and data scientists have sifted through tens of millions of tracks to help you quickly find what you really want. No more wading through covers, karaoke versions or tribute tracks to get to your favorite tune. Existing Pandora Plus subscribers will enjoy six months of Premium for no additional charge. Trial lengths for existing Pandora ad-supported listeners and those new to Pandora vary. Premium is available now on iOS and Android phones, Google Chromecast, and integrated in the car with Android Auto, Apple CarPlay, GM, Honda, Hyundai, JVC Kenwood, Mazda, Pioneer and Subaru. It will be available on other platforms, including desktop and popular connected devices, in the coming months.